Rob Schirle hasn’t had to sit on the edge of his seat this week, waiting to see whether he gets a second Le Mans entry – because his team already had two, one for an Aston Martin DBR9 and the other for a Ferrari 550. “The second Aston Martin has now arrived,” says the team owner, and is currently being prepared for Istanbul (where both DBR9s will race). In chassis 101 at Le Mans, the drivers will be Garcia, Christophe Bouchut “and a professional driver”. 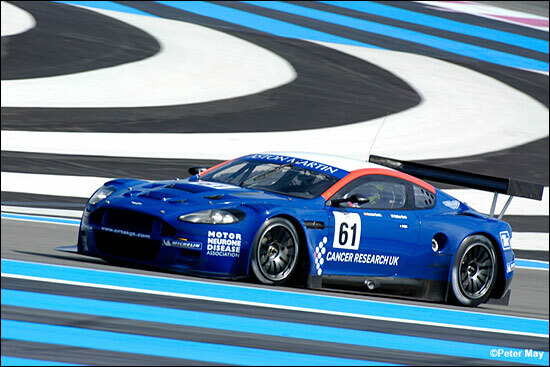 The Cirtek Aston Martin will race on Michelin tyres, so with the likes of Garcia and Bouchut pedalling the lead car, there could be a very interesting situation developing, comparing Cirtek pace to that of the Aston Martin Racing machines. Russian Age plans will focus on the Le Mans Series and Le Mans this year, with the possibility of some extra races in other series too.